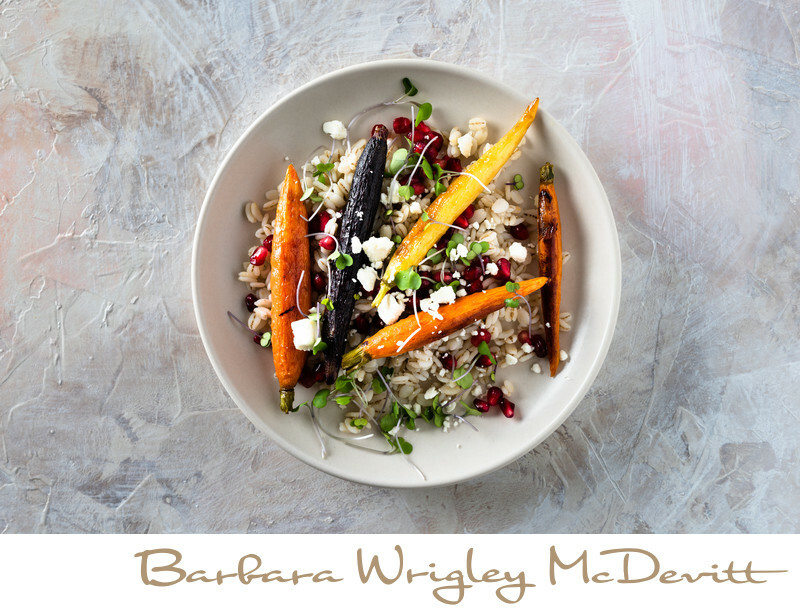 This roasted carrot salad includes barley and feta cheese and is topped with pomegranate arils and micro greens. It's easy to prepare just make the barley up to a week in advance and store in the refrigerator. Same with the carrots - roast on the weekend and store in the refrigerator. The day of just assemble the barley and carrots - microwave if you want it warm - and top with pomegranate arils, feta cheese and micro greens. This "salad" can also be served as a side dish or stands on its own easily.